Spider-Man: Chapter One is a strange little comic. In context, it makes a great deal of sense. Spider-Man has always been one of Marvel’s most popular and iconic comic book heroes. In the late nineties, the comic book industry was trying to figure out how to push forward, following the sales explosion and implosion of the mid-nineties. With superheroes like Spider-Man and the X-Men primed for a transition to the big screen, revisiting the early days of these heroes made a great deal of sense. And John Byrne was the logical choice for a book like this. Byrne was a unique talent. He had enjoyed incredibly successful runs on Uncanny X-Men and The Fantastic Four at Marvel. More than that, though, he had already overseen the successful relaunch of another classic character. In the wake of DC’s universe-altering line-wide Crisis on Infinite Earths, John Byrne had been the writer who re-drafted Superman’s origin as part of the Man of Steel miniseries in 1986. And so, Marvel gave us Spider-Man: Chapter One. 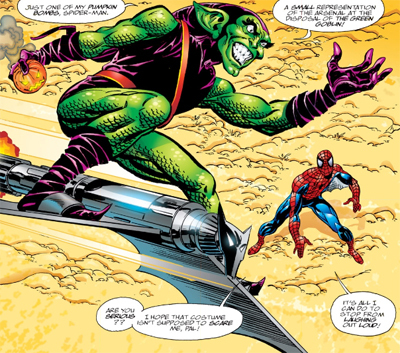 The comic was a reimagining of the earliest days of the wall-crawling superhero, spanning thirteen issues and covering many of the character’s earliest encounters with his classic foes. 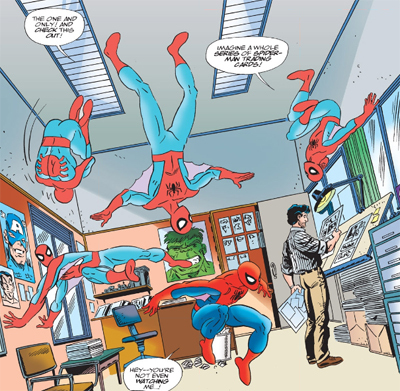 John Byrne was writing the script and providing the artwork for the comics, which seemed primed to introduced Spider-Man to a whole new generation of readers, giving audiences a back-to-basics take on Spider-Man that was fresh and accessible. At least, that was the idea. In actuality, Spider-Man: Chapter One feels like a massive miscalculation on just about everybody’s part. It seems to be aiming for some middle ground between Kurt Busiek and Pat Olliffe’s contemporary Untold Tales of Spider-Man and Brian Michael Bendis’ pending Ultimate Spider-Man. It seems like Byrne is never sure whether he’s simply re-telling the classic Stan Lee and Steve Ditko run on The Amazing Spider-Man with a few bells and whistles, or trying to make it his own. It’s easy to see why Byrne might be conflicted. 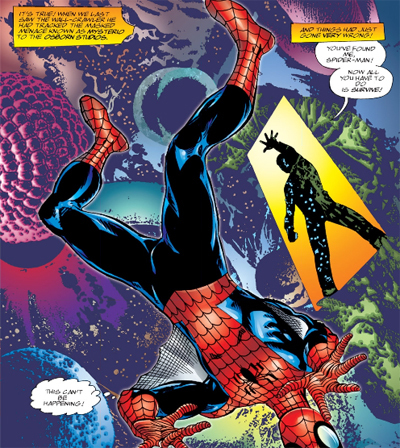 Stan Lee and Steve Ditko invented the modern superhero in the pages of The Amazing Spider-Man. Over that run, the duo managed to tell a superbly constructed superhero origin story, offering the reader a cast of fully-developed and well-rounded characters inhabiting a fantastical run. From a narrative and storytelling perspective – if not as much from a technical viewpoint – those tales still hold up. Anybody wanting to try classic sixties comics couldn’t do any better than Lee and Ditko’s Amazing Spider-Man. So there’s understandably some trepidation there. This isn’t quite like Man of Steel, where Superman’s original adventures were radically different from later iterations of the character, and so Byrne really didn’t feel anchored to them. Byrne is a creator who is very clearly fond of continuity, and who is very well-versed in the logic and workings of the Marvel Universe. Spider-Man: Chapter One was never going to be a bold reimagining of the classic Spider-Man mythos that re-worked and re-invented the web-slinger. There wasn’t going to be the large-scale reinvention that came with Ultimate Spider-Man. At the same time, Lee and Ditko’s writing is dated. It’s inevitable. The comics had been written over three decades earlier, so it makes sense that they wouldn’t speak to a nineties audience. So, if the idea is to present a version of the origin that is acceptable to new readers, there has to be a certain amount of flexibility. Spider-Man: Chapter One has to accept that comic book storytelling conventions have changed in the years since Amazing Fantasy #15. What is the point of re-telling a classic story that is well-told if you aren’t going to try to modernise it in some way. However, Spider-Man: Chapter One never seems to find its feet. Byrne doesn’t seem willing to break from the work of Lee and Ditko in any meaningful way. Instead, Byrne gives all the superficial trappings of modernity. 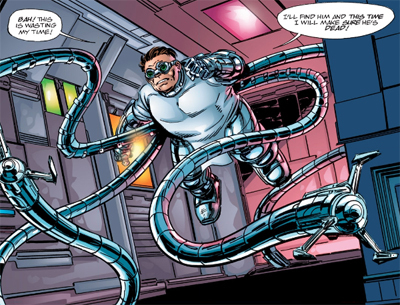 There are a lot of computers in Spider-Man: Chapter One, as if to assure readers that this story totally takes place in the recent past. 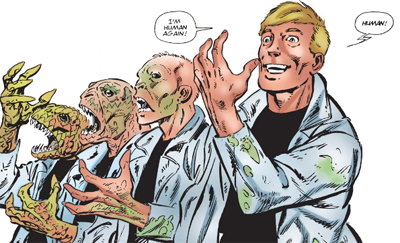 “Wow!” Peter exclaims in the first issue. “The computer I wanted! You guys are the greatest!” Later, we see Uncle Ben purchasing a “top of the line home computer system.” It’s that same computer system that prompts the burglar to break into the house, because everyone likes computers! However, these small touches are less than convincing. Byrne steadfastly refuses to reinvent his story in any substantial way, instead contriving to justify all the classic elements that Lee and Ditko used. 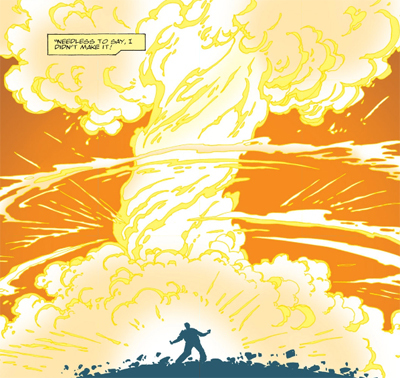 Despite the fact that the story takes place in the late nineties, long after the Cold War, Byrne retains the emphasis on radiation. Peter is still bitten by a radioactive spider. Otto Octavius is “the most brilliant mind in the radiation field.” Sandman is created by a nuclear blast, albeit one conducted by the French. So we get answers to questions that nobody asked. How come Norman Osborn and Flint Marko have the same hairstyle? Is it because Steve Ditko had a particular style of drawing? Nonsense! It’s because they “happen to share a great-grandmother.” Does the end of the Cold War mean we’ll need an entirely new origin for former Soviet spy the Chameleon? Nah! He’s just working for Doctor Doom now! Byrne even explains the strange aliens allied with the Tinkerer, drawing in a bit of retroactive continuity other writers had used to explain the early weirdness of Lee and Ditko’s Amazing Spider-Man. While Byrne is tying up all these loose ends, and stressing the importance of figures who would become more important with hindsight, there’s none of the organic developments that featured in the Lee and Ditko era. The Big Man doesn’t feature at all, as if only characters who will be important to future stories are allowed to cameo in Spider-Man: Chapter One. These stories are important not as stories themselves, but as building blocks to what followed. He even works in a Mary Jane cameo along the lines of Untold Tales of Spider-Man. However, Byrne keeps all the more surreal elements of Lee and Ditko’s classic run. He avoids any real attempt to streamline the run, or to reinvent Spider-Man with an eye to what the character eventually became. So we get many of the same awkward plot beats from the original run, like Spider-Man flying in a fighter jet to save a space shuttle. It was a scene that seemed quite surreal with only a handful of Spider-Man stories in print. It seems even more out-of-character in light of the decades of stories that have followed. And so, it feels like Byrne is very much a slave to the Marvel Universe history of the Lee and Ditko run. While he may enhance the importance of Norman Osborn, a lot of the material still feels like Byrne running through a checklist. We get Spider-Man as a wrestler. We get Spider-Man trying to join the Fantastic Four. We get Flash Thompson kidnapped by Doctor Doom. We get Daredevil teaming up with Spider-Man at the circus. 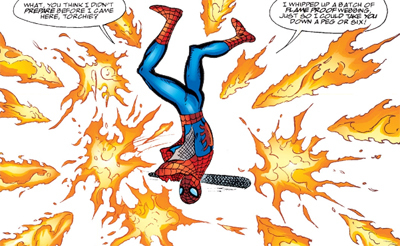 We even get familiar dialogue and page compositions – like Spider-Man’s confrontation with the Sandman or his reaction to the unmasking of Electro. “Huh!” Spider-Man gasps. “If this was a TV show, right about now I’d be saying ‘ah ha! so it was him all along!’ But I’ve never seen this clown before!” In the classic comic, this non-reveal was a clever skewering of genre conventions playing into Ditko’s approach to The Amazing Spider-Man. 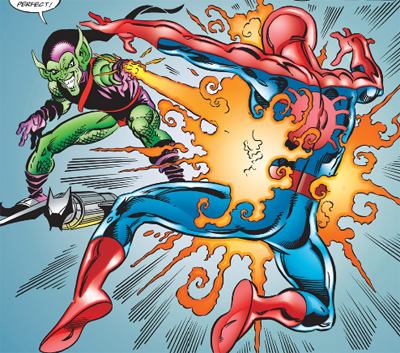 Here, it feels like Byrne is simply imitating a cool moment that he saw one time. There are other problems. 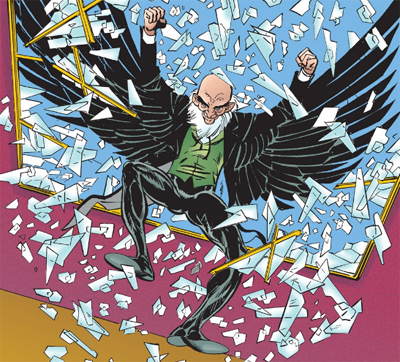 It is clear that Byrne is trying to channel the somewhat anti-social version of Peter Parker that existed in the earliest days of The Amazing Spider-Man, a far more bitter and cynical character than the version who existed under Stan Lee and John Romita Sr. However, Byrne’s characters are just flat-out hard to like. His refusal to stop the burglar isn’t a moral lapse or a moment of weakness or even an act of laziness. It’s just Peter being a jerk. Aunt May and Uncle Ben are in financial trouble because they use rent money to buy Peter (you guessed it!) computers. At one point, Peter considers becoming a criminal in order to help make ends meet, but he quickly dismisses the idea. He doesn’t dismiss it because it’s a bad idea, or because his Uncle Ben taught him the difference between right and wrong. He dismisses the idea because he might get caught. “No! No! What am I thinking? I can’t turn to crime to solve my problems! If someone like the Fantastic Four were to track me down, capture me… it would break Aunt May’s heart.” Because that would be the real crime. It doesn’t help that Byrne structures the first six or seven issues awkwardly. The writer and artist has a habit of joining the story in media res, before flashing back to explain what happened. It’s not a bad trick, but it does get bothersome if used too frequently. More than that, the pacing seems wrong. Somewhere in the first few issues, it seems like Byrne’s structure gets skewy, so each issue contains the second half of one story and the first half of the next. It feels a little clumsy and awkward; Byrne really should have a tighter approach to structure than that. Spider-Man: Chapter One is a massive disappointment. It isn’t quite the affectionate “dancing between the raindrops” approach to continuity as the contemporaneous Untold Tales of Spider-Man, but it also isn’t the “throw it all out and start from scratch” approach of Ultimate Spider-Man. Byrne’s thirteen-issue comic seems to sit between the two extremes, and winds up satisfying nobody. Hi Darren, I love your comic stuff on this blog. It’s so difficult to find well written critiques and analysis in this medium. I’ve been absolutely devouring everything! I would like to raise a point about Peter Parker’s jerkishness or lack thereof. I think the subtext lying under most great Spidey stories, and the Lee and Ditko originals are strongest in this regard, is that Peter IS a bit of a jerk. As a nerdy kid with little social experience it makes perfect sense to me that he’s not a very nice person. Up until I was about 13 I was in a similar social situation to Peter, and it took me years of being in an accepting peer group before I fully learned how to be considerate of my fellow human beings. So I think that Peter letting Ben’s soon to be killer go is not supposed to be “a moral lapse”. I think that Peter does it because at that point he’s a pretty immoral person, overall. Perhaps I’m reading too much into things in order to satisfy my own worldview but what I’ve always appreciated most about these early days is that Peter was not born as the world’s greatest hero but learns how to become just that throughout his trials. I remember finding Peter fairly unlikeable in even the first Ultimate Spider-Man arc the last time I read it. But Bendis lets him evolve into this amazing person and that’s a more interesting and real story then this idea of a good kid that was just handed a bad deck. I prefer the story of a bad kid who grew to be better. Enough of my ranting. Keep up the great work! And fair point. Big fan of the Ditko/Lee issues, which – as you noted – feature a version of Parker who seems he’s one day away from a killing spree. However, while that run influences so much of the character, I think the Romita/Lee Peter Parker has really replaced the Ditko/Lee version – angsty and beaten down, but still optimistic; as opposed to cynical and bitter. He even gets hunkier and the comics start to downplay how inherently creepy a “Spider-Man” would be. You actually make a valid point that this may have been an attempt to hark back to the beginning. It is just jarring after so many years of exposure to the Lee/Romita version as the default. Not sure about reviewing BTAS. Maybe after my Star Trek/X-Files reviews I might do a start-to-end DCAU review with comic book interludes. I like well-wielded continuity. I loved that “Weapon X is Weapon Ten” reveal from Morrison’s X-Men run, which you mention, because it makes so much sense. But there is a tendency, I think, to tie things together more than is strictly necessary. Look at the solution to the Magneto problem created by New X-Men. The text implies a pretty solid solution: Magneto was controlled by Sublime. However, the comics then go on to offer an extremely convoluted attempt to have their cake an eat it with the character of Xorn. Speaking of BTAS, have you ever been much of a Creeper fan? I’m going to be honest here and confess that I’ve been sitting on a copy of Ditko’s Creeper for a while, waiting for a chance to read it. I love the concept, and I quite like his BTAS-verse appearances. Byrne did this all the time in his Fantastic Four run. I wonder if he thought this strengthened the serial nature of the stories, but I found it clumsy and tiresome. It’s not so bad in hardcover, but it kills the stories in singles and (particularly) month-on-month.